The Maratha Warrior: The Journey of the Great Warrior ! Dadoji Konddeo who was straight desciplinarian trained Shivaji Maharaj. Shivaji Maharaj mastered not only the technique of using weapons like sword but also proficiency in horse riding, politics and justice. Shivaji's education and overall development was personally supervised by Dodoji Konddeo. 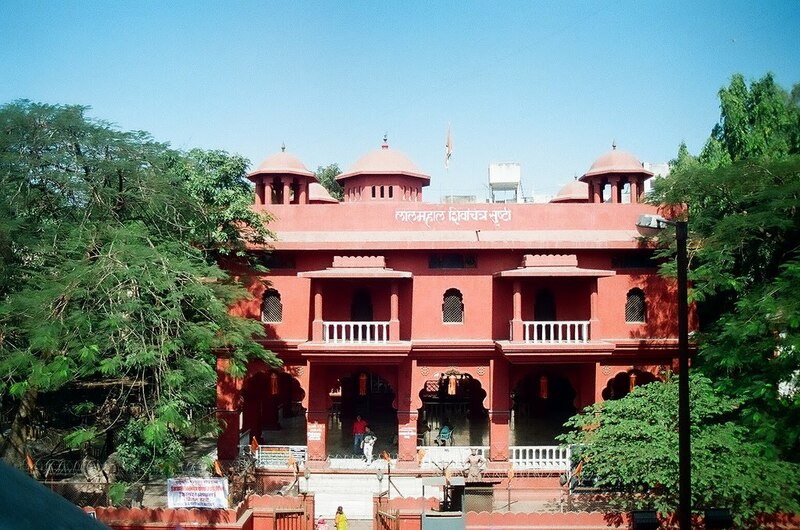 In his very young age, Shivaji Raje showed an ideal example of justice. Patil, Babaji Bhikaji Gujar from village Ranje was punished severly for misbehavior with young lady. The punishment was to cut down their limbs. (legs & hands) Justice for everybody was same. Siddi Jouhar the sardar of Adilshah had captured Panhalgad. He had very big army. Shivaji maharaj skillfully escaped from there and reached Vishalgad. He was supported by one of his honest and breve warrior, Baji Prabhu Deshpande. Siddhi Jouhar was not allowed to chase Shivaji Raje, he was kept engagged in the battle fieled by Baji Prabhu who at last laid his life to stop Siddhi Jouhar. Shahistekhan uncle of Aurangzeb, conqured Pune and with his armend force of 1 Lakh Soilders, lived in the Lal Mahal for about 3 Years. He was not ready to leave Pune. Shivaji Raje with his small army had a well planned attack on Lal Mahal, Shahistekhan ran away saving his life but lost his three fingures. Aurangzeb could not bear the growing glory of Shivaji Maharaj. So he sent one of his brave & experienced sardar Mirja raje Jaisingh. he was a Maharaj from Rajasthan. A Rajput. He started capturing the Maratha's forts, when he took the wise decision to surrender. Shivaji Maharaj along with his son Sambhaji, Visited agra to meet Aurangzeb. He insulted Shivaji Maharaj in the darbar and imprisoned him. Shivaji Raje with his will escaped from Agra. aurangzeb could not do anything to him. Shivaji Raje attacked 'Surat', the rich place of Aurangzeb and confiscated all the wealth there. The "Loot" was so much that it compensated the loss of wealth of the Maratha in last three and half years. Bahirji naik, one of Shivaji's "Secret Agent" told him to attack Surat. So that they could find countless wealth. It was tru. Surat gave a big treasure of wealth to Shivaji maharaj. Chatrasal Bundel from the south, admired Shivaji Maharaj as a brave King. Bundel son of Champatrai, came to shivajiraje to work with him. Shivaji Raje respected his offer, presented him his own sword and told bundel to rule as an independent King. Chatrasal fought against Mughal and made his Motherland free. This entry was posted on Monday, July 12, 2010 at 9:45 PM and is filed under afzalkhan, lal mahal, pune, shayadri, shivaji maharaj . You can follow any responses to this entry through the comments feed . only in frame Why not in real life? Excellent collection of photos and information too. Thanks for sharing the information! The following site also gives good information about the forts and places around Pune. CHATRAPATI SHIVAJI MHARAJ IS GREAT WARRIOR ALSO KNOW AS A "JAANTARAJA"